Lyon are already moving to secure a direct replacement for Liverpool target Nabil Fekir. The French club are trying to sign Hatem Ben Arfa on a free from PSG, reports Le 10 Sport, translated by the Star. 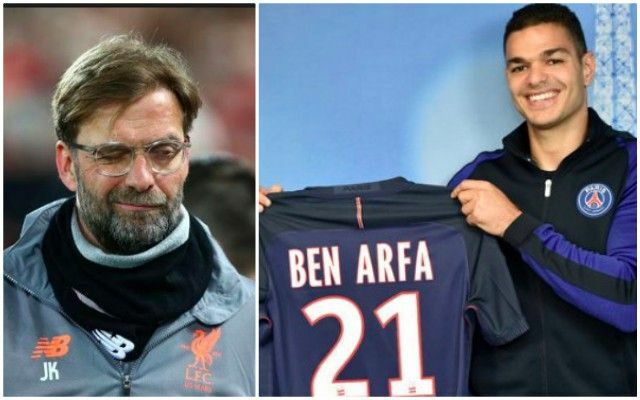 Has Klopp already hinted at FEKIR’S Liverpool role…?! Ben Arfa plays as a no.10, the exact spot Fekir took up for Lyon last term. The 24-year-old could now follow Fabinho and Naby Keita to Anfield in what’s already looking an extremely exciting Liverpool transfer window. According to the Express, Fekir wants the switch and so does Jurgen Klopp, although no formal bid has been tabled – they claim. Fekir would add the kind of guile and trickery we’ve badly missed in midfield since Coutinho’s departure. The 24-year-old has a low centre of gravity, a penchant for genius and scores plenty of goals. We’re very excited about Fabinho, Keita and what the new goalkeeper will bring, but Fekir could be the icing on the cake.